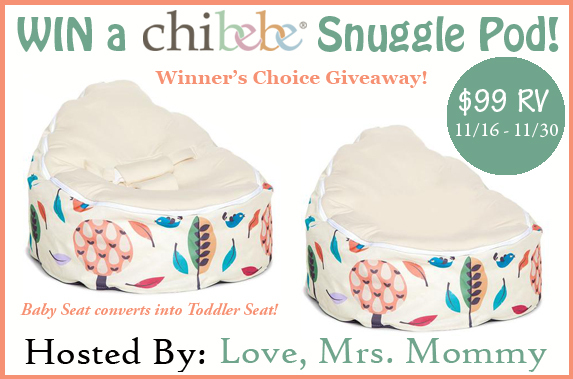 Love, Mrs. Mommy: Winner's Choice of Chibebe Snuggle Pod Giveaway! $99 RV! Winner's Choice of Chibebe Snuggle Pod Giveaway! $99 RV! 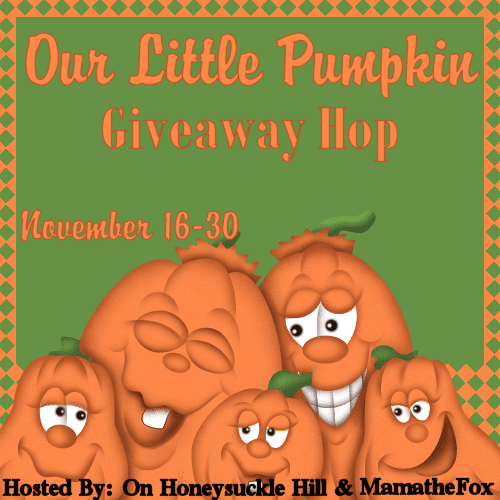 Welcome to the Our Little Pumpkin Giveaway Hop hosted by MamatheFox! At each stop in this hop you can find a fun prize that would make a perfect gift for a child this holiday season. Be sure to come back for your daily entries to increase you chances of winning! Good Luck! 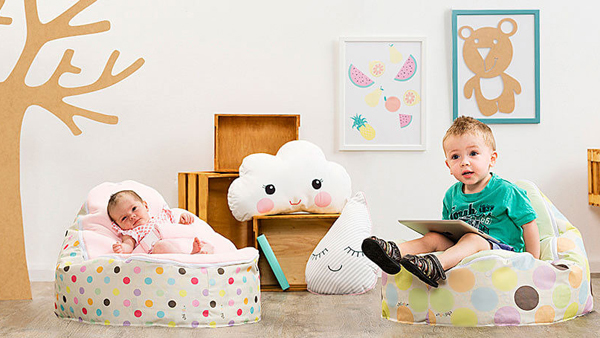 Chibebe is the world’s #1 baby beanbag! The Chibebe Snuggle Pod was originally designed to help prevent reflux and flathead symptoms, but that’s not all! These adorable snuggle pods grow with your baby for many years down the road (great for all ages) and come in a variety of stylish, exclusive designs. They not only look amazing, but so is their quality! Chibebe has high standards of safety, so much so that they are laboratory tested to not only meet, but exceed USA and Australian standards! Click here to read Love, Mrs. Mommy's full Chibebe Snuggle Pod review! Disclosure: Love, Mrs. Mommy and all participating bloggers are not held responsible for sponsors who do not fulfill their prize obligations. Love, Mrs. Mommy received a Chibebe Snuggle Pod at no cost to facilitate the above-mentioned review. This giveaway is in no way endorsed or sponsored by Facebook or any other social media site. The winner will be randomly drawn by Giveaway Tools and will be notified by email. Winner has 48 hours to reply before a replacement winner will be drawn. If you would like to participate in an event like this please contact LoveMrsMommy (at) gmail (dot) com.